Shelley Harris is a South African-born novelist who emigrated to Britain as a child. She is interested in telling the stories of ordinary people and finding the extraordinary in their lives. Her debut Jubilee (2012), set at a street party during the 1977 Silver Jubilee, explores community, memory and national identity. It was shortlisted for the Commonwealth book prize, was a Richard and Judy selection and a Radio 4 Book at Bedtime. Her second novel Vigilante (2015), is proudly feminist — as is Shelley. It’s the story of a middle-aged mother in crisis who finds she can only cope by taking on the persona of a superhero. 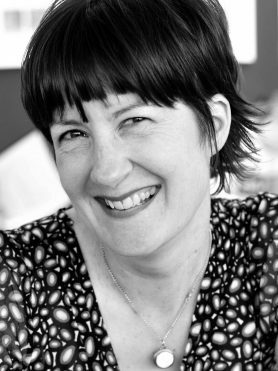 Shelley has taught creative writing for Oxford University’s adult education department, the York and Winchester writing festivals and Faber Academy. She is a mentor for the Escalator programme run by Writers’ Centre Norwich and a volunteer mentor for the Womentoring project, which offers professional support for unpublished women writers on low incomes. She is particularly thrilled to be appointed as a Fellow because it enables her to offer students the tools that will help them find their written voice. These tools are hugely empowering and entirely teachable; she enjoys seeing clients leave more confident than when they came in. Shelley has worked as a local reporter, a bouncer, a secondary school teacher, a shop assistant and a full-time parent. She lives with her husband and two sons in Buckinghamshire where she reads, makes gin cocktails and is a member of the Glitterballs dance troupe. The great thing about being a writer is that, professionally speaking, it doesn't really matter how badly you mess up; it's all material. I write because I found out early that it was very, very good fun: there was licence and liberty in it.